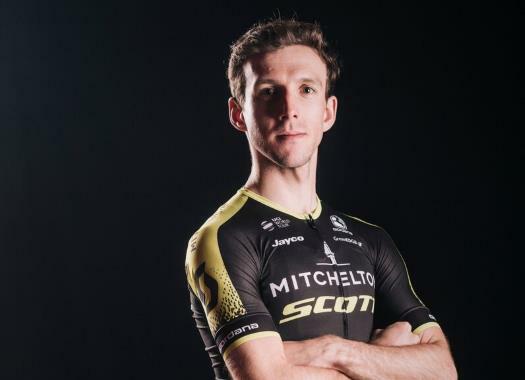 Simon Yates (Mitchelton-Scott) has finished another stage in the Pink Jersey and though today was a disappointing day for his team, he made the best of it. The day started in a difficult way for the Australian team as Esteban Chaves was left behind when the peloton broke because of the speed set at the front. Yates was disappointed about what happened to his teammate. "I don't know what to say. I'm disappointed for Esteban, he has worked hard for this and one bad moment can change everything like that," the Briton explained at the end of the day. "It would be better if he was still there (in the GC fight). We could have more cards to play in the final, have different tactics and now I'm alone. I think it will be a bit more difficult now but we will have to adjust." Despite this moment, that left Chaves out of the contention for the title, Yates took advantage to get some seconds that he hopes he can use later in the race. "They (the seconds) were there," he said. "I need seconds so whenever I can I try to take them. (Thibaut) Pinot was also sprinting and I also don't want to lose time on him and yes, that what was it was all about. But when asked by the RAI how many seconds he would like to have on Tom Dumoulin before the time trial, the rider had a concrete answer. "It's not seconds, I think it's minutes," he explained. "For sure, maybe two minutes would be the minimum but with close to three minutes I would be more comfortable."